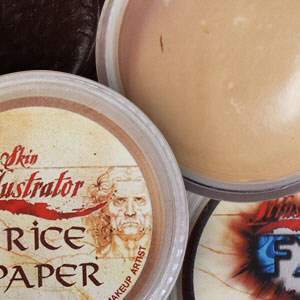 Everything you need to create breathtaking make-up effects; we stock anything from alcohol based make-ups to proffesional adhesives and specialty products designed especially for the proffesional and enthusiast alike. 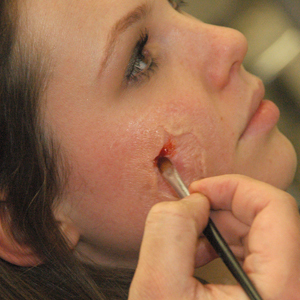 are alcohol activated and create coloration for skin and silicone, foam latex and gelatin prosthetics. 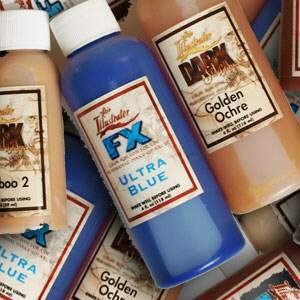 alcohol activated make-ups to create perfect coloration for skin and silicone, foam latex and gelatin prosthetics. These large, circular pots are perfect for providing that extra bit of pigment needed to carry out and complete any make-up. are the airbrush companions to the Glazing Gels. Designed for extreme close-up work. 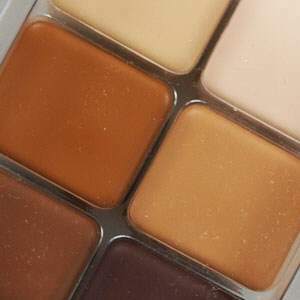 Alcohol-activated make-up palettes. 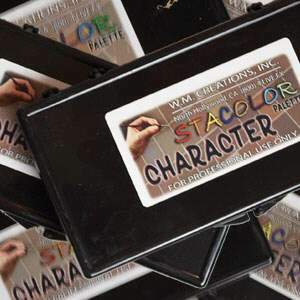 Reel creations offers high volumes versus low cost. alcohol-activated make-up created by oscor winner Matthew Mungle offering a variety of colors for a lower price. are latex-based products are used to simulate wrinkles on skin. 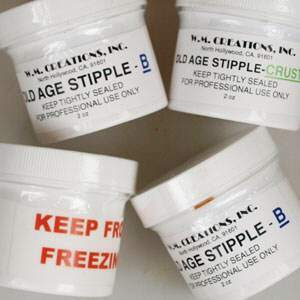 Works best on skin of persons over 50 years. or Rubber Mask Grease Paint is a specially formulated for painting latex and foam latex; it does not deteriorate latex-based products as "regular" grease paints do.